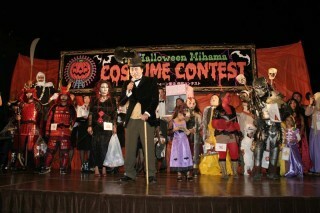 Mihama American Village is inviting participants to the annual Halloween Costume Contest. The annual Halloween Costume Contest in Mihama 2012 will be held on Oct. 31 from 6 p.m. ~ 8 p.m. to thank customers for their frequent patronage to the Mihama area over the years. 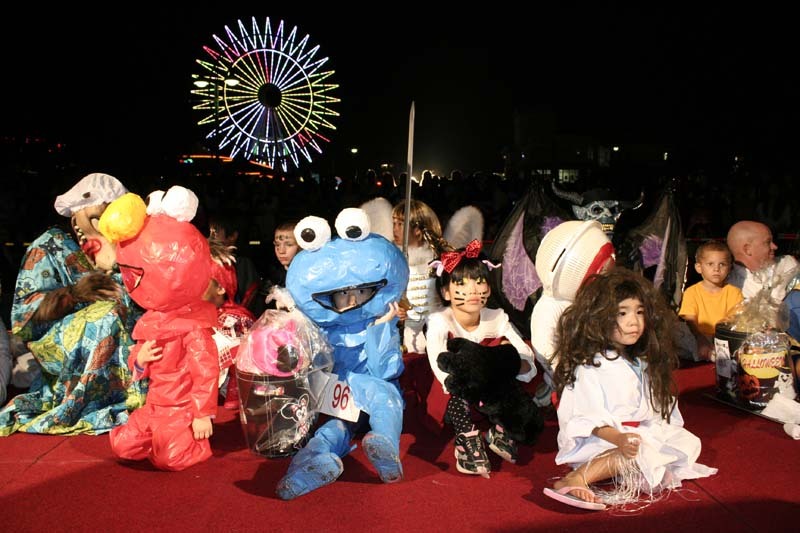 This is the sixth annual contest featuring American ambience at the American Village in Mihama district of Chatan town, and includes not only the Halloween Costume Contest but a variety of events around the village. Invitations are extended to people who want to enter the contest. Prizes go to the top 11 best dressing performers divided into adults’ and kids’ categories. In the adults’ class, the first prize winner will get $500, the second $300, and the third $150. In the kids’ class, the first place earns the winner a super jumbo box, the second place a jumbo box and the third a big box. A lot of candies and toys are in the box. The Super jumbo box is about 120cm or 150cm tall, so the winner will be glad for sure! Kids from babies to 12 years old can entry the kids’ class. The contest is the main event of the Halloween Mihama 2012, but some shops in the area will serve special offer on the day such as one free drink for dressing people. When walking through the American Village, ask these shops what kind of offers they serve. Children up to 12 years of age can enter to the Kids’ Class competition. Registration for the contest can be done on their website at http://www.okinawa-americanvillage.com/. The webpage is Japanese, but you can find an entry form in English on the middle of the page. Click the Halloween Mihama 2012’s banner, and then, click “English page is here” at the middle of the page, under poster image of the Halloween Mihama 2012, so you can reach the English entry form page. You can also watch some movies from last year’s contest on the page. Entries began being accepted from Sep. 24th and will be accepted through Monday, Oct. 29th. The first 100 entries in the adult class and first 100 in the kids class will be accepted. If you do not enter in advance, you still have a chance on the contest day, when an additional 50 groups will be entered at the door. Tokito added as hint for selecting the best entries, it’s a person who makes their costume by hand with original and funny ideas. Those are the ones who can get prizes more easily. The Halloween Mihama 2012 will be held on Wednesday, October 31st, from 6 p.m. ~ 8 p.m. at Mihama district of Chatan town on the special blocked-off street near the Ferris wheel. The costume contest will start from 6 p.m. and the awards ceremony will be held from 7:30 to 8:00 p.m. Admission to the event is free.